Home > Blog entry > Guest post: Ombla must be protected, not flooded! Guest post: Ombla must be protected, not flooded! 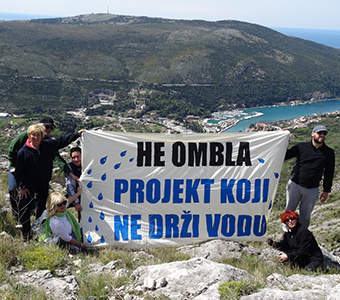 The project promoter of the Ombla hydropower plant in Dubrovnik, Croatia is still stubbornly pushing the project forward. A presentation yesterday of a new nature impact assessment did not offer answers to a range of outstanding questions, including the project’s economic feasibility, impacts on locals and more. Jagoda Munic is co-ordinator of the Nature Protection Programme at Zelena akcija/Friends of the Earth Croatia and chairperson of Friends of the Earth International. 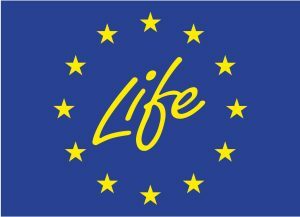 Despite the fact that a contract for financing from the European Bank for Reconstruction and Development was cancelled in May 2013 due to findings that the project would have serious impacts on the Ombla caves’ unique biodiversity, HEP is still stubbornly pushing the project forward. In the two years since the last study was carried out, no additional research has been carried out in the Vilina Cave-Ombla spring complex. Instead, other nearby caves have been visited in an attempt to prove that Ombla does not contain anything that other nearby cave systems do not, and that it would therefore be acceptable to flood it. In spite of the fact that the presentation lasted for a full six hours, members of the public were yesterday once again left without answers to a range of outstanding questions on the Ombla project, such as the economic feasibility of the project, impacts on local inhabitants, and the cultural aspects of Ombla, as these have not been covered in any publicly available document since the outdated and low quality 1999 environmental impact assessment study. Along with local civil society organisations Srdj is ours, the Save Ombla and its inhabitants initiative, Eko-Omblici and Eco-Centre Green Sun, Zelena akcija/Friends of the Earth Croatia believes that it is high time for HEP to finally withdraw from the Ombla hydropower plant and invest in improving the capacity and efficiency of existing hydropower plants, as well as in solar and wind plants, and that the Ombla river basin should be declared as a transboundary protected area with Bosnia and Herzegovina, not only because it is a biodiversity focal point on the European and global level but also due to the need to protect Dubrovnik’s drinking water. The Dubrovnik-Neretva County must also protect this area as a Protected Landscape (which has already been declared but not implemented) and as a Special Nature Reserve, for which the State Institute of Nature Protection would need to carry out an expert assessment. mistakes made by HEP would be covered by customers through higher electricity prices.